I was in the mood for a guilty pleasure and The Eagle is just that. I must admit that I liked it far better than I expected. I even liked it quite a bit. It’s not historically accurate and you have to oversee the way “the barbarians” are depicted, the good versus evil vibe is quite heavy-handed but still, I enjoyed it for various reasons. First of all The Eagle is visually compelling. The images are beautiful and I liked the atmosphere they created a lot. The other reason why I liked the movie was the main character, Marcus Flavius Aquila (Channing Tatum). Tatum isn’t a very good actor but he does well when he has to play an introverted, wounded man. In 120 A.D. Flavius Aquila, Marcus Flavius Aquila’s father, led the 9th Legion, 5000 Roman elite soldiers, far into Britannia, beyond the border of the Roman Empire. The Legion never returned and the emblem, the eagle, was stolen. 20 years later Marcus Flavius Aquila is sent to Britannia as Centurion of the remotest outpost near Hadrian’s wall. The soldiers under his command are not very keen on a man whose father disappeared. They think he means trouble but he is doing surprisingly well. We are introduced to a deeply religious man who is a very skilled and courageous soldier and a just commander. Unfortunately he’s gravely wounded in his first battle and sent to his uncle (Donald Sutherland) to recover. He gets an honorable discharge as his wound will not allow him to return to the life of a soldier. This is hard for him as being a soldier is all he knows and on top of that his secret hope was to restore his father’s honour. When he watches some games with his uncle and sees a slave losing a fight against a gladiator he saves the slave’s life. While Esca, the slave, hates everything Marcus represents he still swears to be loyal. Marcus sees an opportunity to go beyond the wall, guided by someone who comes from there and speaks the language. He hopes to find out what happened to his father and maybe bring back the eagle. Their quest is taking them far into enemy territory. The task is as difficult as it is dangerous. A lot has been said about the bromance element in this movie. I’ve never really understood that term anyway. For me this was the story of an adventure and how two unlikely men become close friends. Call it “bromance” if you must. As I said already, I liked this quite a bit. I thought it was well filmed and suspenseful. I spent two pleasant hours with this movie and wouldn’t mind watching it again. 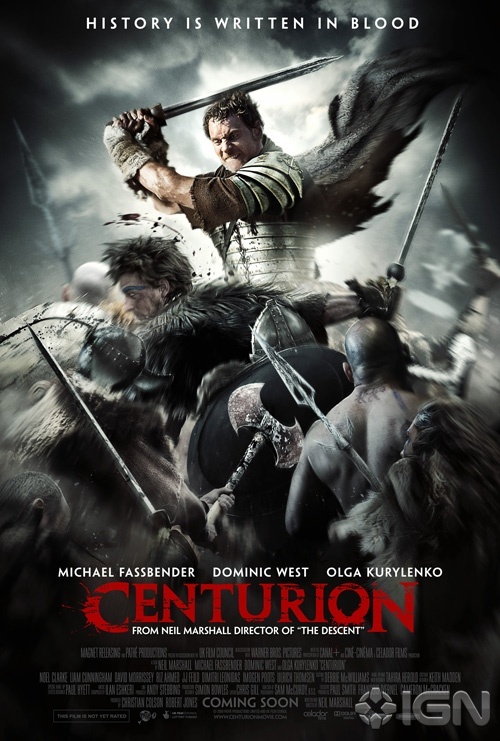 It’s not as good as Gladiator or King Arthur but personally I liked it better than Centurion and much much better than The Last Legion which is really not good. 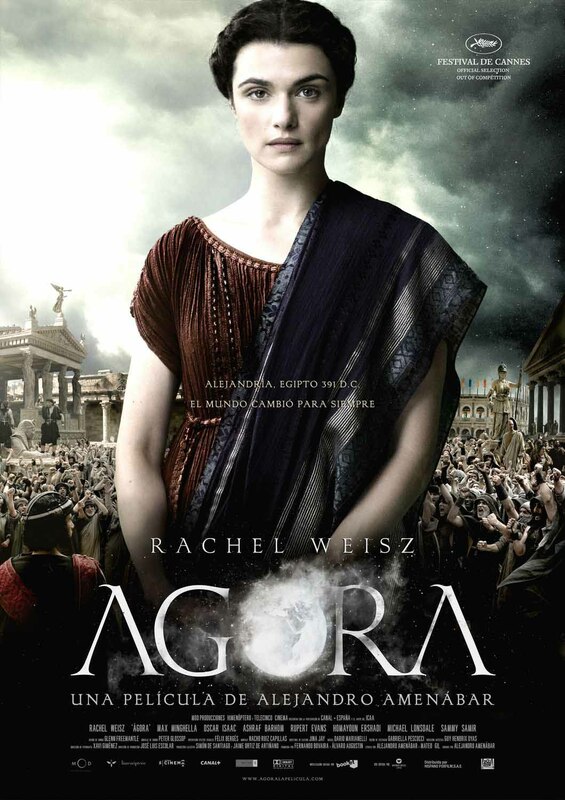 Watch it if you like movies set during the Roman Empire. 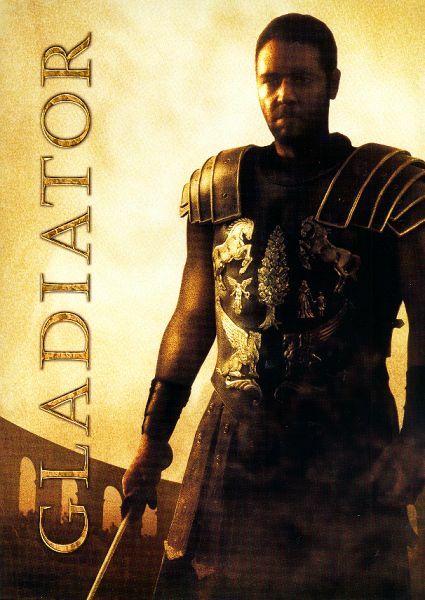 If you want to watch more movies set during the Roman Empire here’s my list: War Movies Set During the Roman Empire. 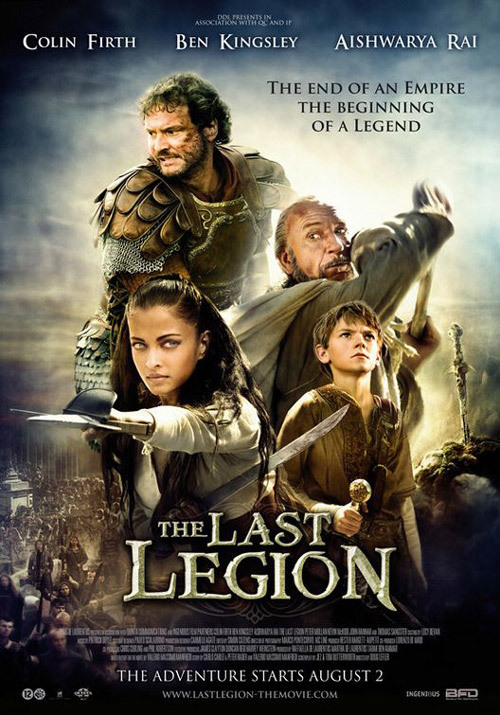 I didn’t expect much from The Last Legion but I like movies set during the Roman Empire and this was said to tell the pre-history of King Arthur which sounded interesting and so I watched it. I wasn’t aware that Colin Firth is in this movie. If I had realized it I wouldn’t have watched it. That could only go wrong. He is not plausible as a Roman general and the fact that he seemed to make fun of the role didn’t really help much. Pairing him with the gorgeous Aishwarya Rai made matters worse. Chemistry wise it didn’t work. And how did Ben Kingsley end up in this? That it was historically inaccurate didn’t bother me so much or let’s just say, it didn’t matter anymore. The movie is set in 460 A.D. The last Roman emperor, a boy of 12 years, Romulus Augustus (Thomas Brodie-Sangster), has just been crowned when the Goths invade the city. He is sent to Capri with his mentor Ambrosinus (Kingsley), part druid, part warrior. They are rescued from Capri by the loyal general Aurelius (Firth) who is helped by three male and one female warrior. 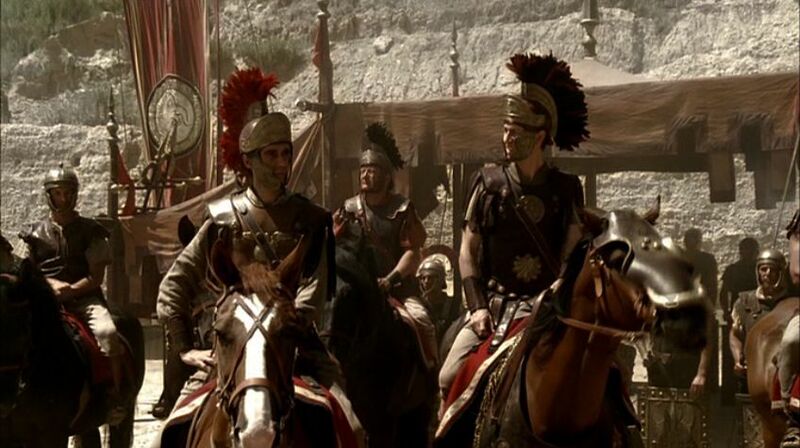 After realizing they have been betrayed by senator Nestor, they flee to Britannia to look for the Ninth Legion which is located so far away from Rome that it might hopefully still be loyal to the emperor. While there is hardly anything supernatural happening with the exception of the emperor finding Excalibur, there are a lot of fighting scenes, some romance and most of all the well liked topic of a very few highly dexterous warriors against a lot of far weaker opponents. While I’m still not sure the movie was intentionally funny, I didn’t mind watching it because it made me laugh quite often. It may very well be that with another main actor it wouldn’t have been funny but at possibly much more decent. I think this is easily Colin Firth’s worst role. While it was based on the novel The Last Legion by Valerio Massimo Manfredi it felt as if it had been adapted from a comic. Watch it if you like action-adventures and if you are extremely keen on movies on the Roman Empire and don’t mind historical inaccuracy. I wouldn’t rate it higher than 2/5.